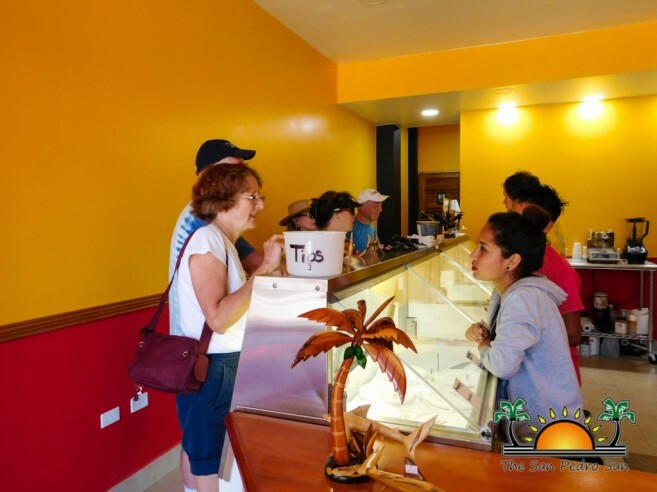 A new ice cream parlor has opened its doors to La Isla Bonita, and of course, The San Pedro Sun had to get the “scoop” on this new businesses! 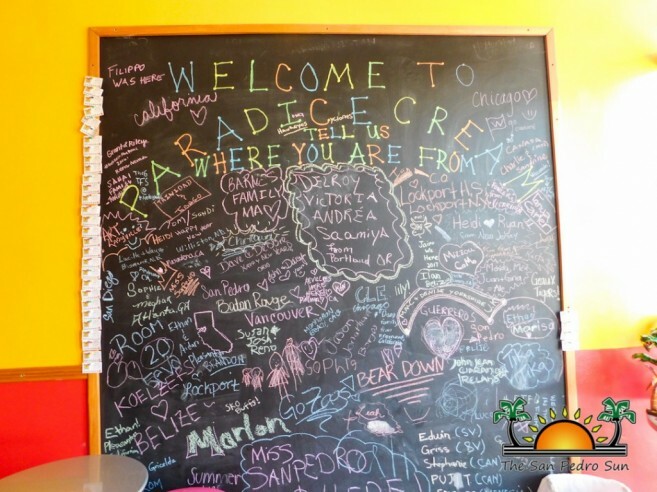 Located across Tropic Air on 26 Coconut Drive, Paradice Cream Parlor offers its customers a variety of 30 flavors to choose from. The current popular flavor is chocolate candy, but be sure to try local flavors, and the array of fun toppings available! After 10 years of ice cream-making, Owner Mike Tadlock claims that his recipe has been perfected over years of practice. “Freshness is my key ingredient. There are no artificial flavors, colors or dyes in my ice cream. We get our milk and cream from a dairy in South Florida, USA. All recipes are original, and I can make up to six gallons a day,” said Tadlock. 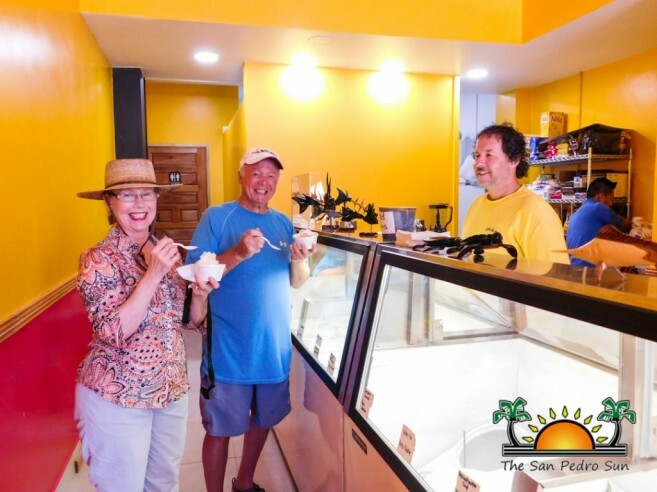 “I enjoy seeing people enjoying my ice cream…I put a lot of passion and pride in my product to make it consistent. A lot of times when people cook something and say ‘that’s good’, people are satisfied. But I don’t want people to say my ice cream is good. I want them to say ‘wow’ or how Belizeans like to say, ‘that’s nice’,” said Tadlock. Ice cream is not the only product available at Paradice Cream. Milkshakes, floats, and ice cream pies are a must-try! For the lactose intolerant, try their Italian ices. Prices range from $6 for a single scoop, $10 double, and $14 for a triple cone or bowl. Add a homemade waffle cone or bowl for an extra $1. Be sure to ask for the frequent dipper card, which entitles you to a free cone ice cream after your seventh purchase. 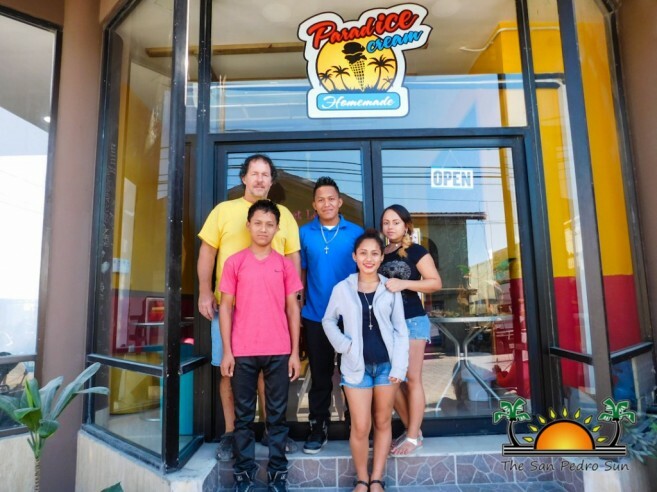 Paradise Ice Cream opens daily from 10AM to 9PM.